When you first walk into Camp Takajo, you are greeted by the Takajo Arch, which has twelve arch ideals. These ideals represent our moral compass, and remind us of the values we hope to teach your son during his time with us this summer. I hope to incorporate these ideals into my daily blog posts. We reached the end of our first full day of camp. It’s difficult to imagine that we are already in our regular program. The purpose of my blog is to give you a sense of what goes on in camp through my eyes. The adjustment to camp has been seamless for so many. For those who have had a rocky start, there is one thing they share in common; these campers brought cell phones into camp. In all cases, rather than engaging with their friends and participating in their activities on an 80-degree, beautiful Maine day, they were drawn back to their bunks to a cell phone that was hidden away in some obscure place, so that they could reconnect with home. While I can appreciate the need for instant communication, I want you all to know that I remain completely available to you if you need information or feedback about your child. I hope that you will support the camp’s philosophy and help your kid unplug for the summer. The Warrior campers (boys ages 7 through 10 who have just finished first thru fourth grades) today will have a full schedule and jump right into the daily workings at camp. Teams have been made, sports will be played, and our Warriors will attend skills such as water skiing and golf. Today is the day that camp really begins. 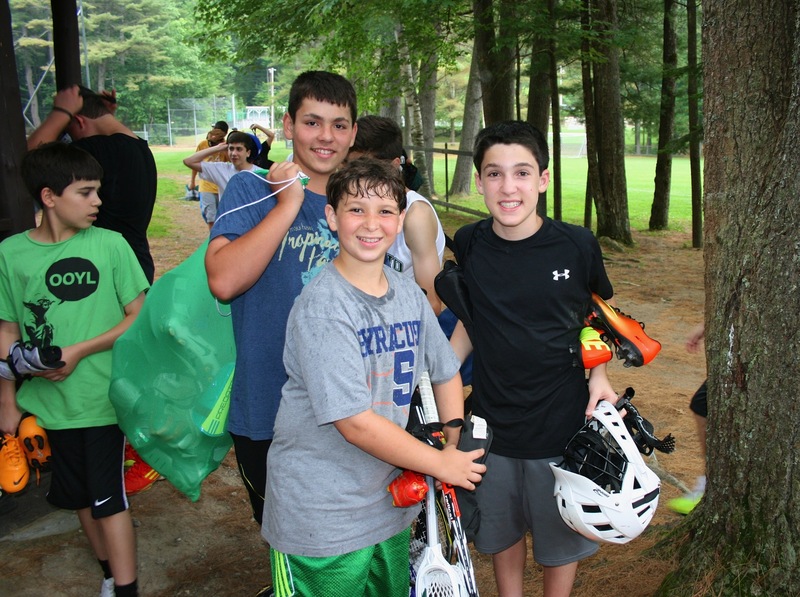 Today, in Junior camp (boys ages 11 and 12 who have just finished fifth or sixth grades), all of the juniors got introduced to the sports at Camp Takajo. They got a change to meet their sports counselors and see all of their activities. They greatly enjoyed their swim test, and we are now ready to go into full program starting tomorrow morning. Today, on the waterfront, it was our first official day of summer. It was a beautiful day! Waterfront counselors started conducting swim tests for the campers, and we will be ready to go into full program by Sunday afternoon. The Warriors got to enjoy some basic canoe and sailing instruction, while the Juniors and Seniors were on the fields in athletic sessions. We are thrilled to have a brand new 2013 Super Air Nautique tow boat, for wakeboarding and wake surfing as the newest addition to our existing fleet of power boats. The Tennis Staff had a great start this year. Junior and Senior evaluations were today, conducted to assess everyone’s skill level so that the campers can be organized into appropriate teams. The Warrior Crow campers looked especially good on the courts today.